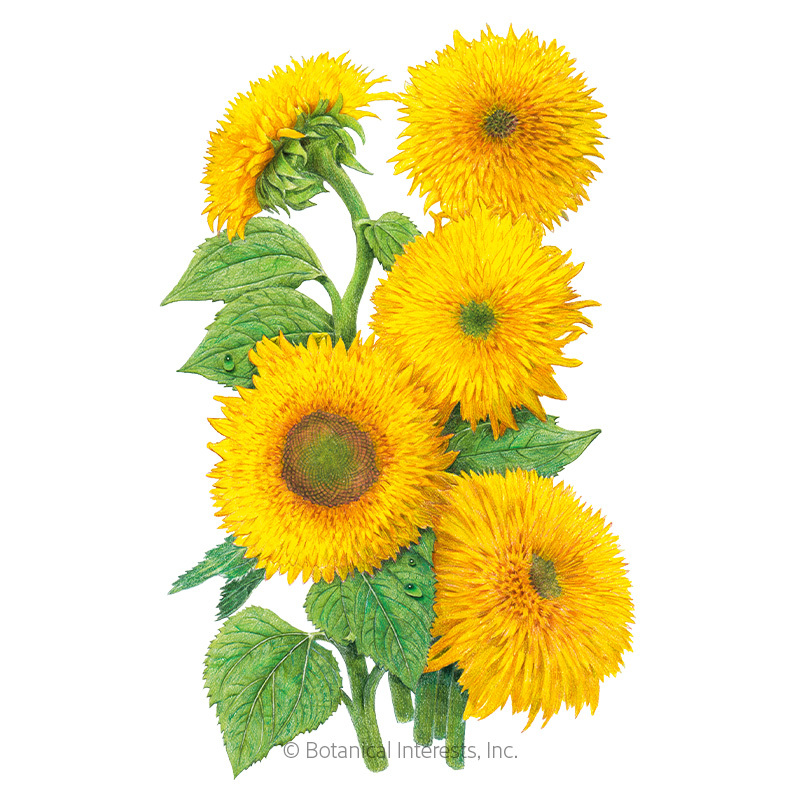 Goldy Honey Bear has thick, multi-branching stalks that stay upright without staking. Green centers are revealed as the 5"–7" flowers open. As they mature, the blooms become fully double, solid gold, and surrounded by sun-like ray petals. In ideal conditions, these nearly pollenless flowers may grow so large that just one will fill an entire vase! Long-blooming display for a flower border, hedge, or screen. 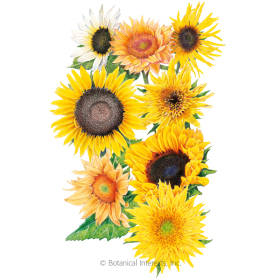 You may even recognize these unique sunflowers from Vincent van Gogh's famous Sunflowers paintings! 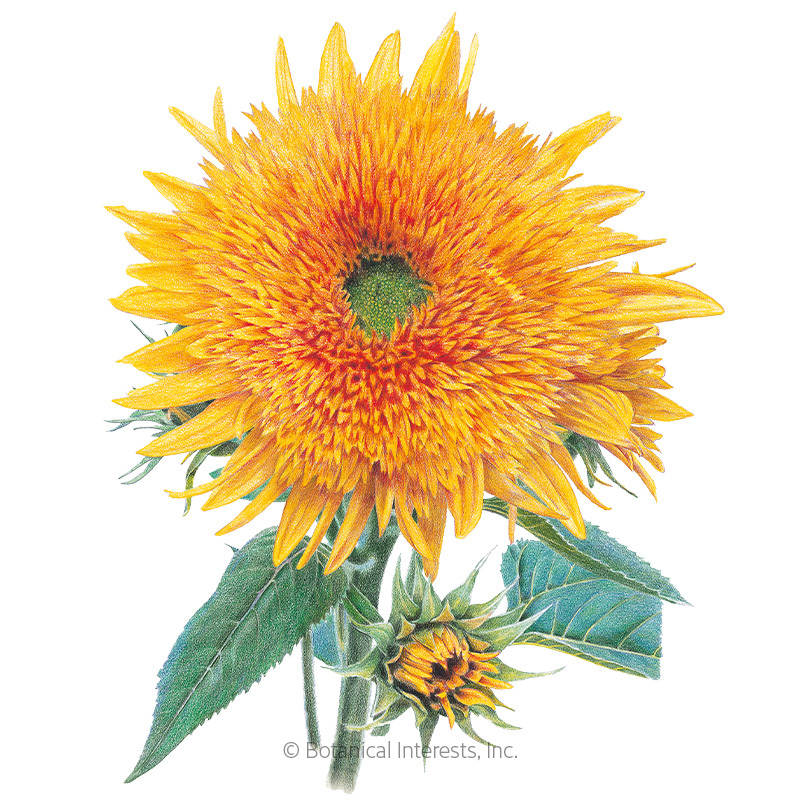 Variety Information: 5"–7" fully double, golden-yellow blooms. Centers are green until maturity when they turn brown. When to Sow Outside: RECOMMENDED. 1 to 2 weeks after your average last frost date. When to Start Inside: 2 to 4 weeks before your average last frost date. 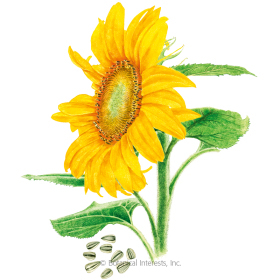 Sunflowers are senstive to root disturbance; sow in biodegradable pots that can be planted directly in the ground. Seed Spacing: A group of 3 seeds every 18"–24"
Thinning: When 3" tall, thin to 1 every 18"–24"